Well how the devil are you lovelies? 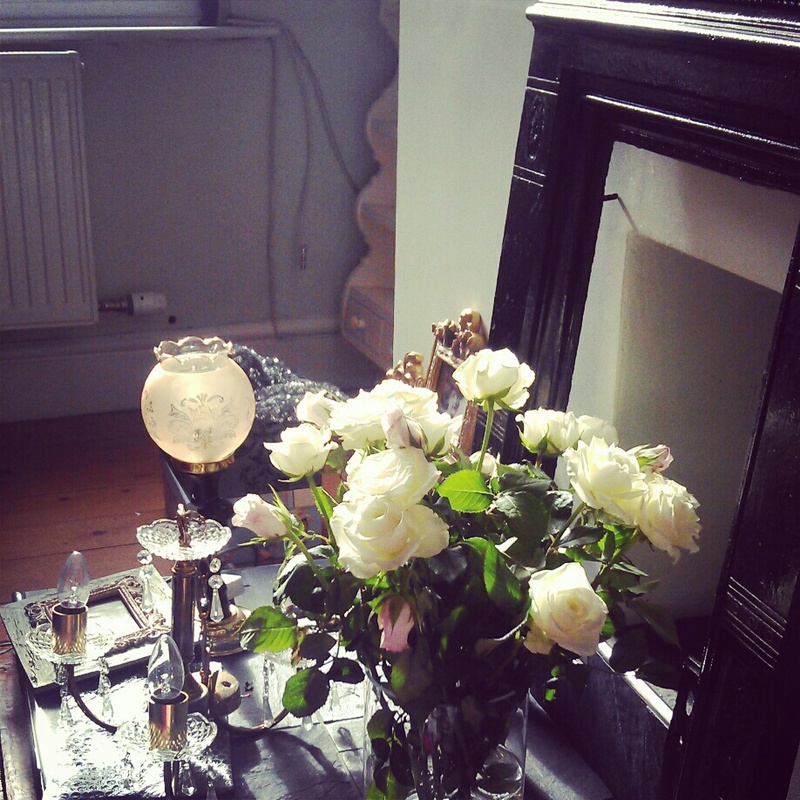 , I have been rather busy trying to transform our lovely new home into our own little haven. The house is a Victorian terrace, built in 1885, it's had an extension on the back so we have an indoor loo you will be most pleased to know! Anywho, so far so good, apart from the sofa supposedly from the 1850s not fitting through the door, the delivery guy and my man insisted it would not fit and we would have to sell it on, as it had been stored in a showroom and apparently lots of people had been asking to buy it! Now growing up I always helped my Mum with anything to do with the house - getting ball and claw baths up stairs that bug burly men say will not fit, so I told the two gents to carry it round to the back of the house and inspected the bolts, which we then proceeded to loosen with the help with some WD40! And by jove it came apart and when perfectly back together, so in short I am so stubborn I do not take no for an answer. So until I get chance to take some proper photos here's some instagram snaps! 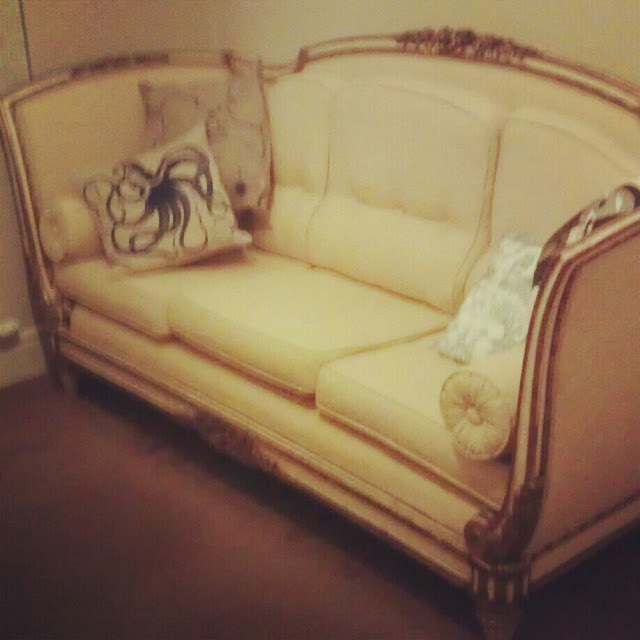 The sofa in question, it is positively dreamy ain't gonna lie. 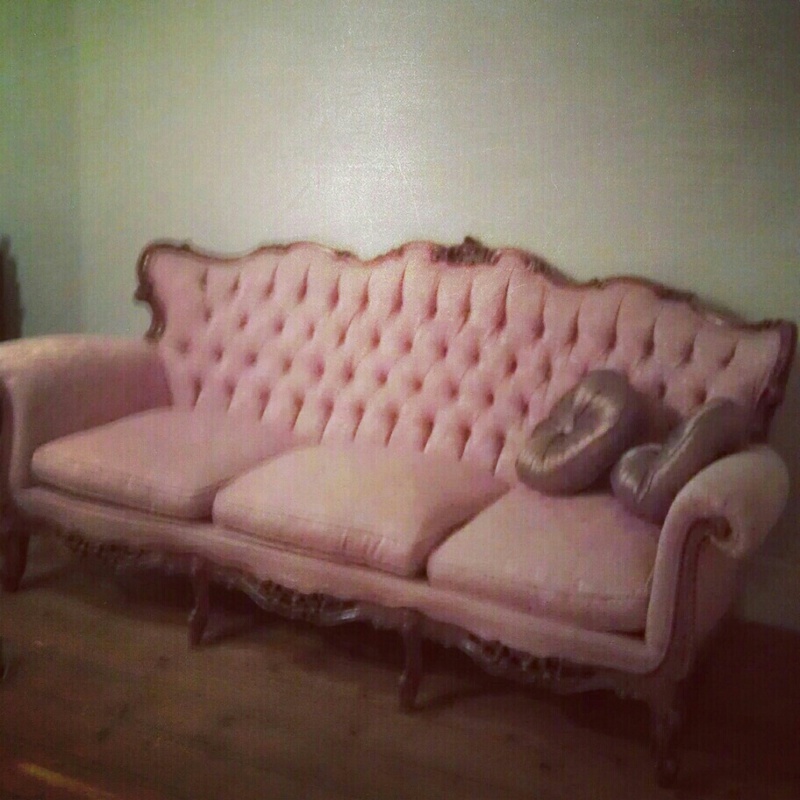 This is our second sofa, every house needs two right? 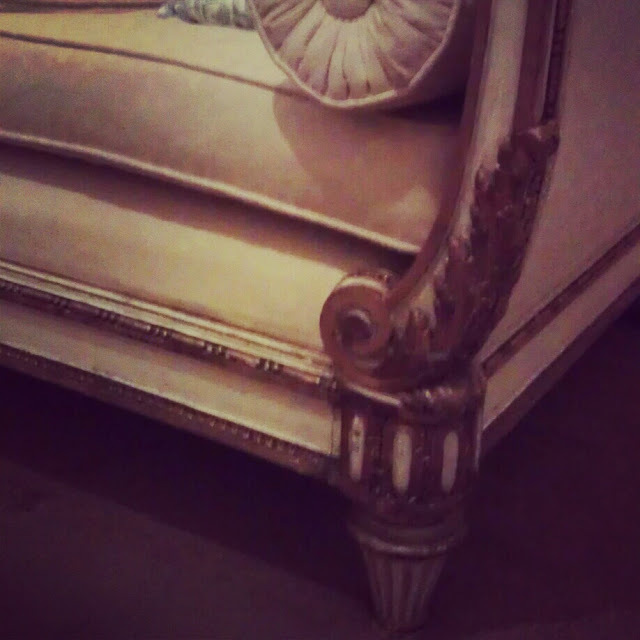 It is a gorgeous dusty pink and incredibly comfortable. 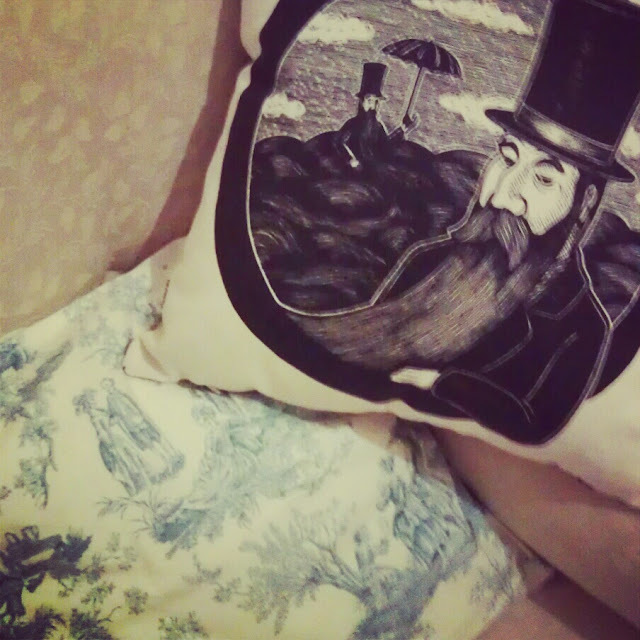 Got the man his own gentlemanly cushion from timberps, fricking love his stuff! 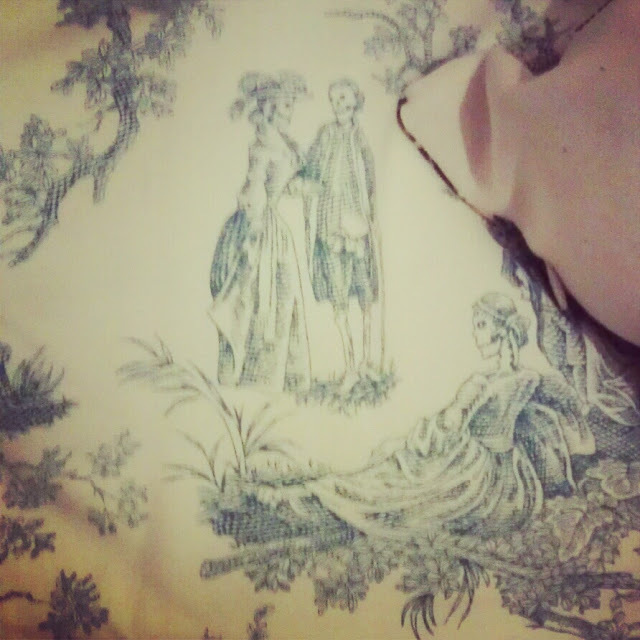 Skeleton toile de jouey cushion cover. 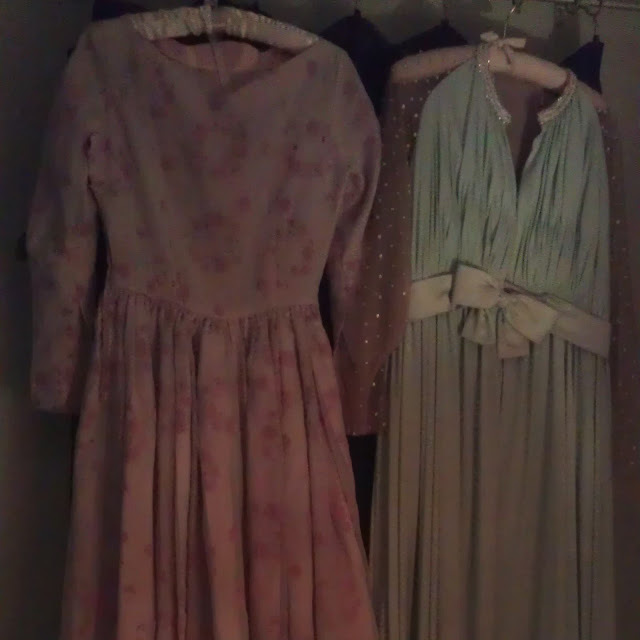 These dresses are currently acting as curtains, I am saving up for some dusty pink velvet or maybe some raw silk to make curtains. 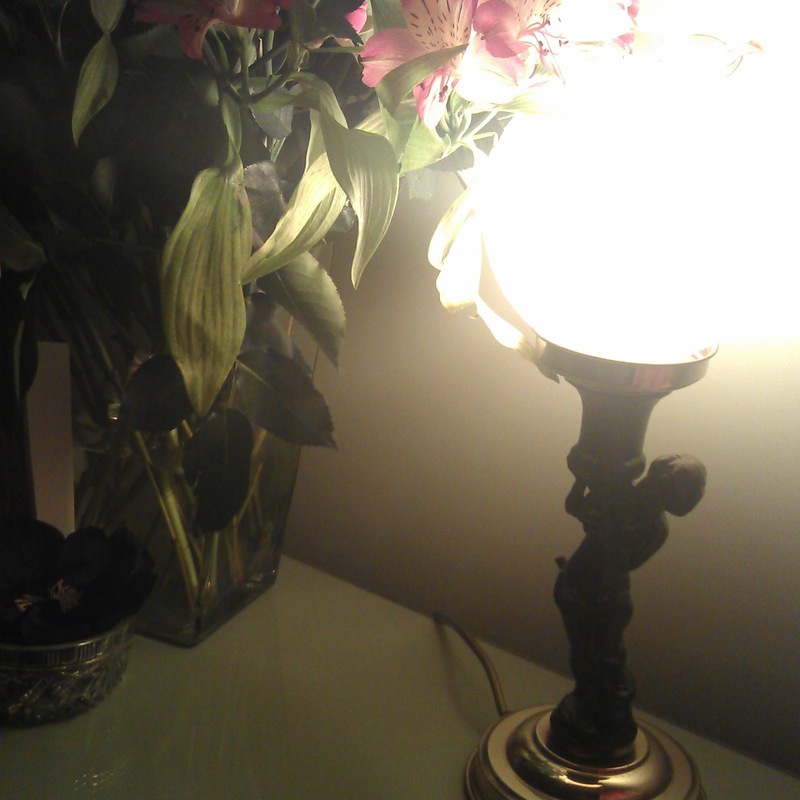 Charity shop cherub lamp only cost £5! 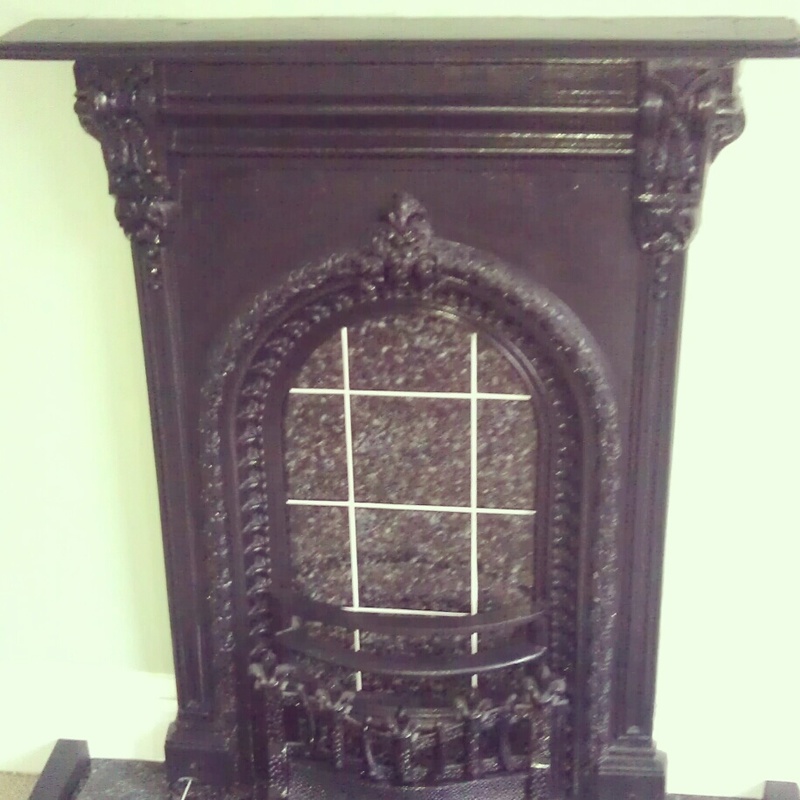 This is the terrible hearth in the back room - excuse the bubble wrap, the cast iron fire place I've had for months it was £10 from eBay and will eventually be screwed into the wall, the chandelier was another chartiy shop bargain at £3.99. I'm accumulating as many chandeliers as possible, then I can get someone to fit them, do not fancy rewiring the vintage ones! Victorian fireplace in our bedroom, not so original tiles. 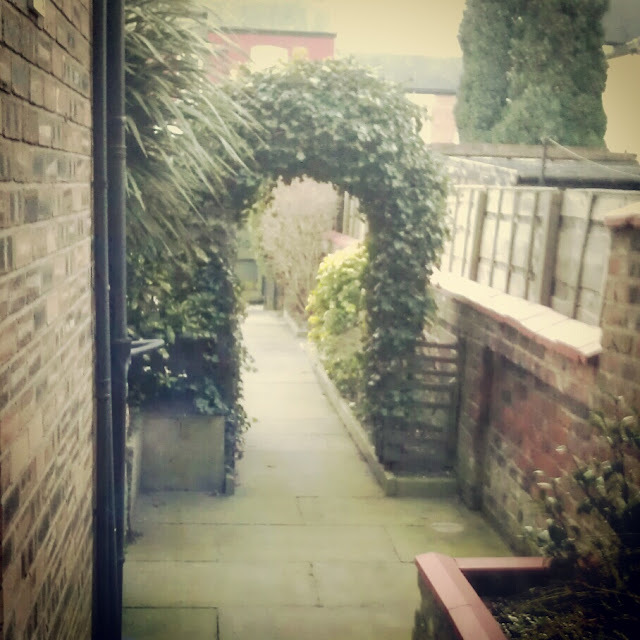 The garden comes with an ivy archway! I've already planted a climbing rose next to is as I have visions of roses all cascading over it. 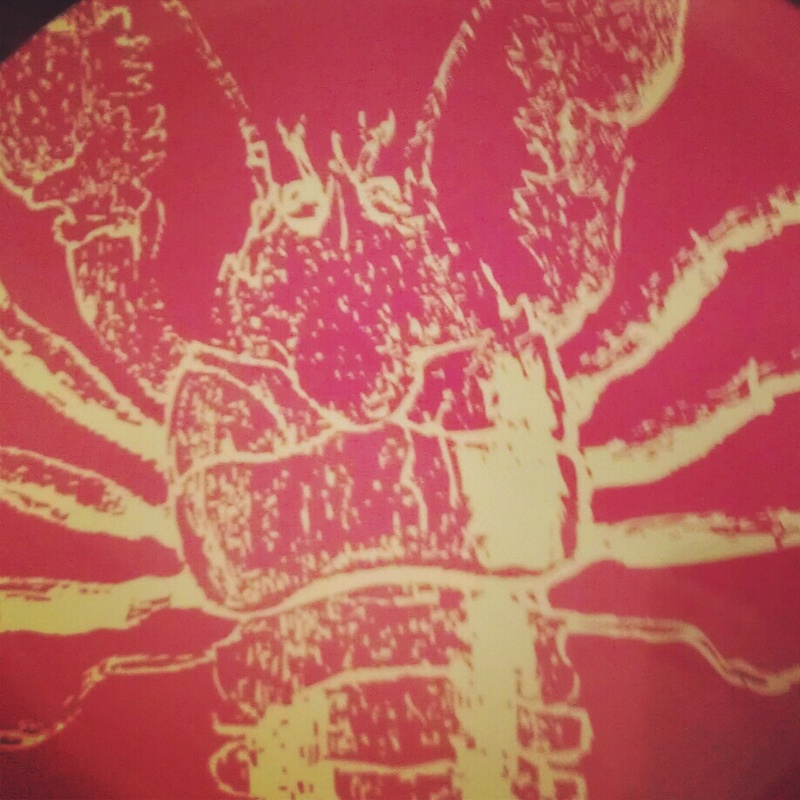 You know I love a lobster, this is a plate tray from matalan of all places! I have so much to do but will be catching up on all your gorgeous goings on. Oh my!! Your new home is looking gorgeous already!!! Those sofas are divine; I would've sawed a hole in the wall to get the 1850s one in if I had to, hehe! Wow those sofas are amazing! Love the styles. I can't wait to see more and more of your wonderful house! You are one stylish homemaker!!! How enchantingly marvelous! I've spent many (many!) an hour daydreaming about living in a Victorian home such as this charming beauty. Houses of such age are quite rare on the western side of Canada (which was, for all intents, settled much later than the eastern side of the country), but you can still find a few, and considerably more Edwardian homes. One day, I do home! Enjoy setting up and settling into your new home, dear gal. I love it all! Sofa is amazing! I m waiting for my new room with vintage inspired furniture. Good job out-thinking the boys and working out how to get the sofa in! Would have been tragic to have to relinquish it! I am so glad you managed to out smart the sofa so you could keep it. Your house is going to be such a beautiful place for refuge and love. You make me want to move out of my parents home heh heh! I am in with that pink couch! I also adore the name of your blog! Oh wow, your couches are so, so much nicer than mine that I found on the side of the road! 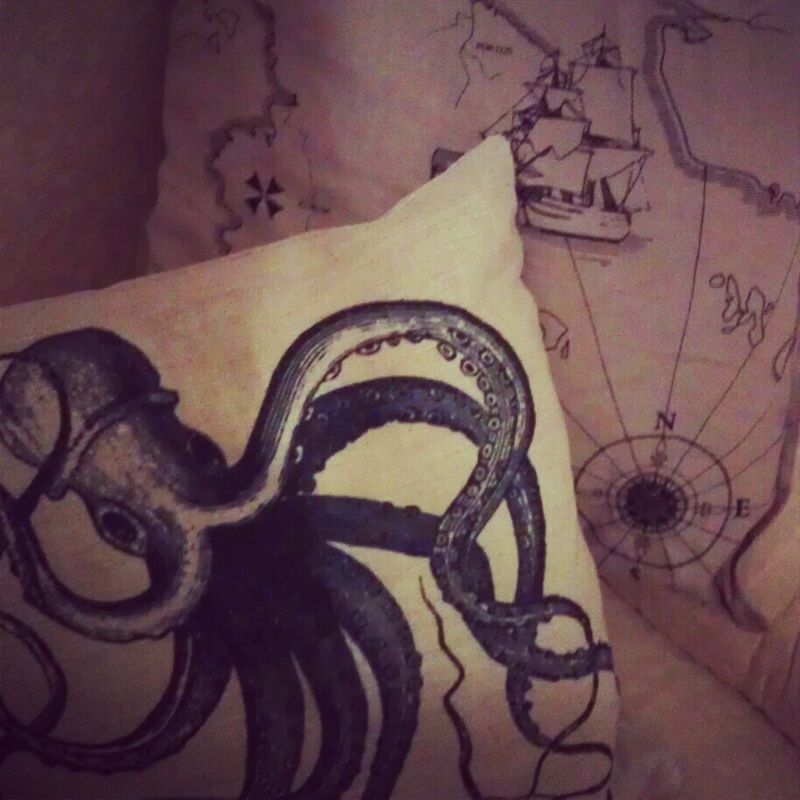 I envy your beautiful homewares so much.